So what was the reason for the split? 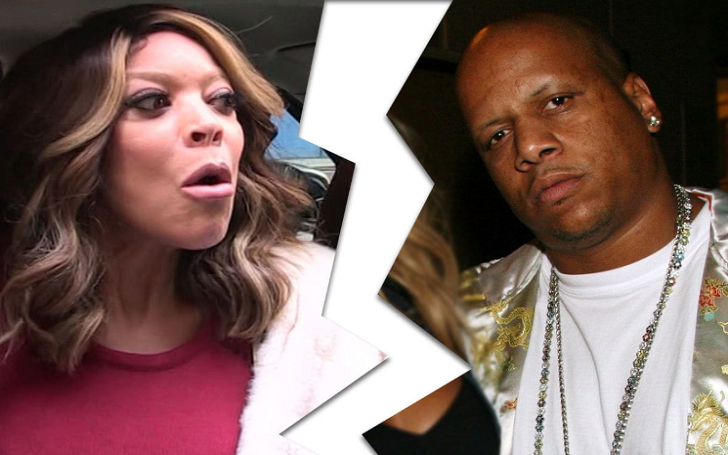 Wendy Williams cited 'irreconcilable differences' in the divorce documents she filed from her husband Kevin Hunter after 21 years of marriage. The court documents reads, "There exists irreconcilable differences between the parties which have caused the breakdown of the marriage for a period of six (6) months." Which make it appear that the marriage should be dissolved as there is no reasonable prospect of reconciliation. Sources confirmed on Thursday, April 11, that the Wendy Williams Show host, 54, filed the divorce papers from the television producer on Wednesday, April 10. Williams, 54, filed for divorce from Hunter, 46, after nearly 22 years of marriage. According to the docs, the talk show host filed the paperwork on Wednesday, April 10. An insider exclusively told Us Weekly that Kevin was served with the paperwork backstage at the studio before a taping of the Fox hit show Thursday morning. The source said that Kevin, 46, walked around the set "with a folder" and jokingly said, "The papers are in here." The couple tied the knot on November 30, 1997. They have a son Kevin Jr., 18. Prior to starting a relationship with Kevin, Wendy was briefly married to an unidentified salesman in 1994. She referred him as pseudonym Robert Morris III in her Wendy’s Got the Heat book. Marriage between Kevin and Wendy had been surrounded by cheating allegations for years. Daily Mail published photos of the TV producer spending time with his alleged mistress, Sharina Hudson, in New Jersey in September 2017. When sources reported that the alleged couple was involved in a romantic relationship with Sharina, Wendy told fans not to "believe the hype." Sharina, who is a massage therapist by profession, gave birth to a baby girl last month. KEvin has been speculated to be the father of the child.